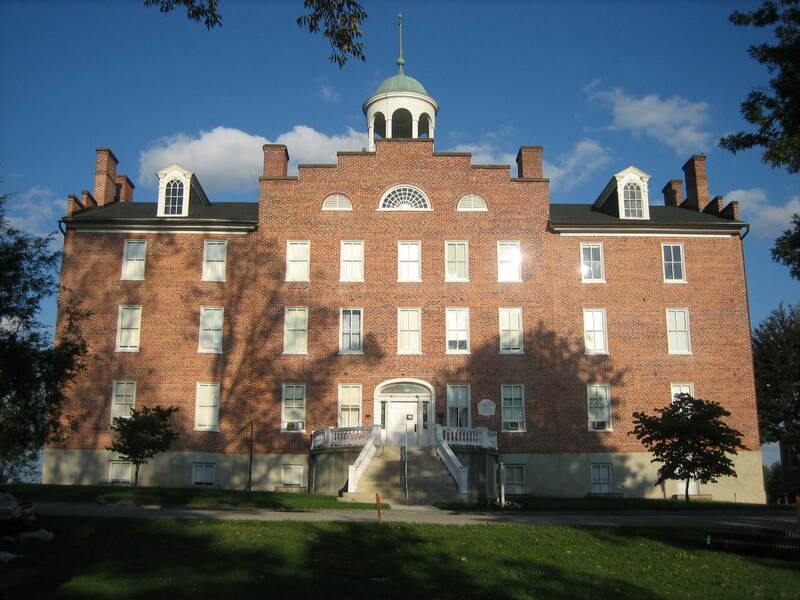 In the background is Schmucker Hall, or Old Dorm, on the campus of the Lutheran Theological Seminary. 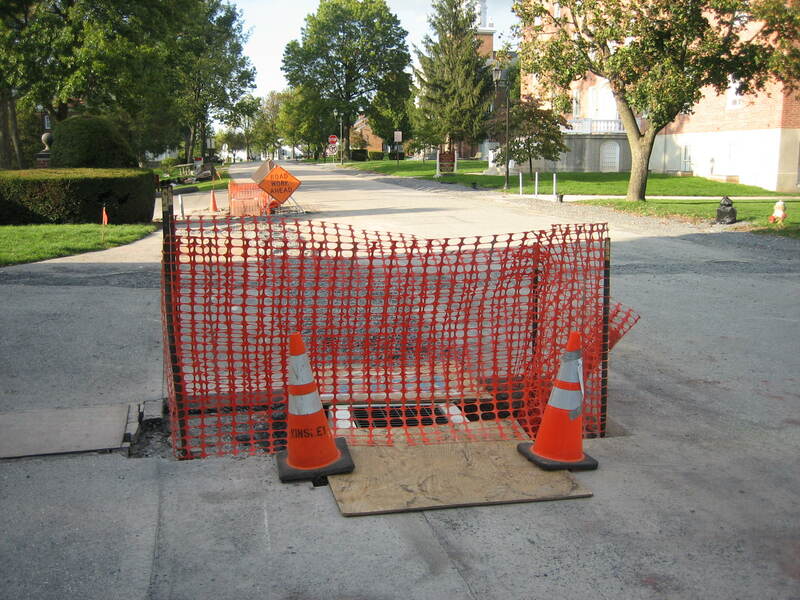 In the bottom right of this photograph, surrounded by orange plastic fencing is a new drain. 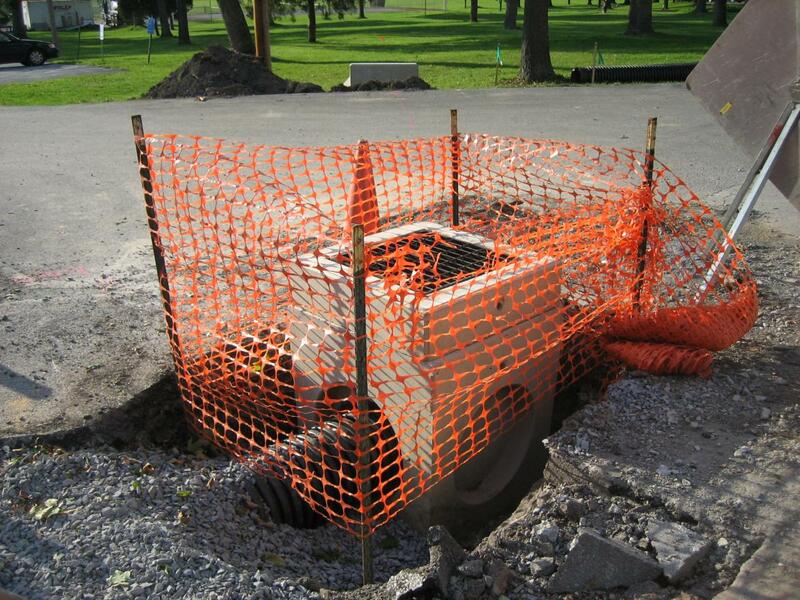 The top of Seminary Avenue now has to reach the top of this drain. This view was taken from the southwest facing northeast at approximately 5:00 PM on Friday, October 3, 2008. 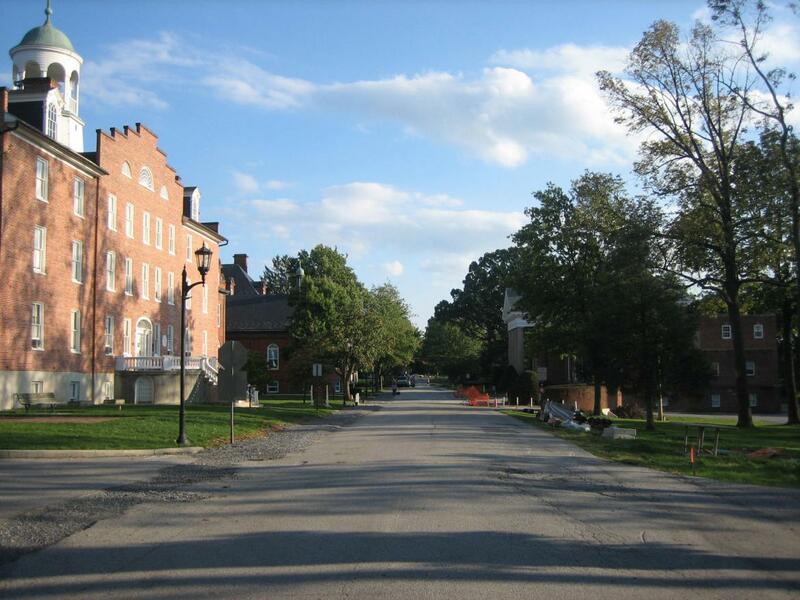 Seminary Ridge Avenue was passable for this weekend’s traffic. Contractors have been laying pipes along the ridge. In an effort to make drainage better, it was decided that Seminary Ridge Avenue needs to be leveled in places. Instead of having some parts of the crest higher or lower than others, someone has determined that these subtle differences in the terrain are no longer viable. 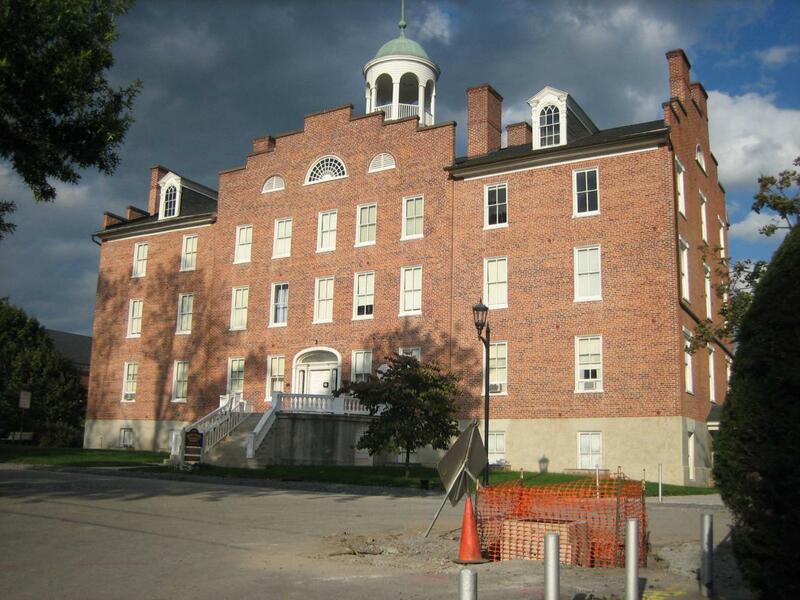 So in front of Schmucker Hall, Seminary Ridge Avenue will be raised almost two feet to accommodate the drains. 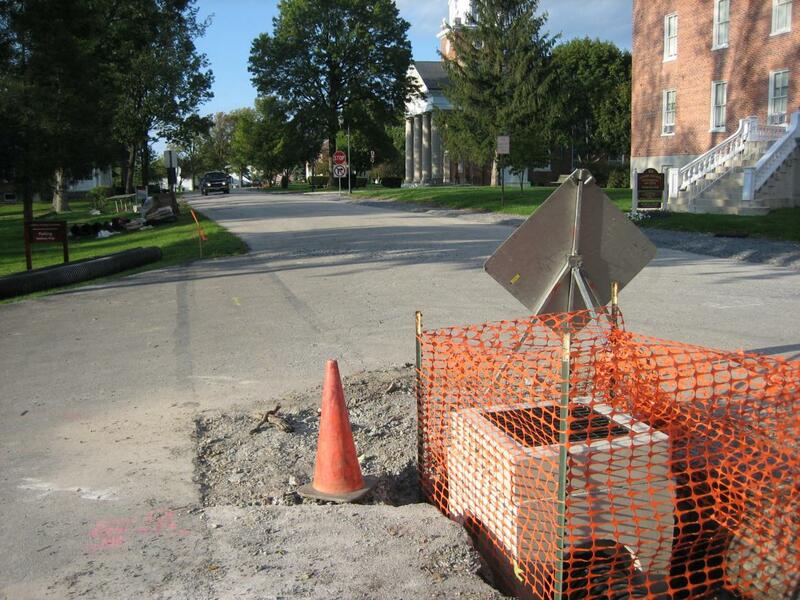 See our previous post on Seminary Avenue roadwork on September 16, 2008. Seminary Ridge Avenue will have to be raised almost two feet to be level with the top of this drain. This view is from the southwest facing northeast at approximately 5:00 PM on Friday, October 3, 2008. 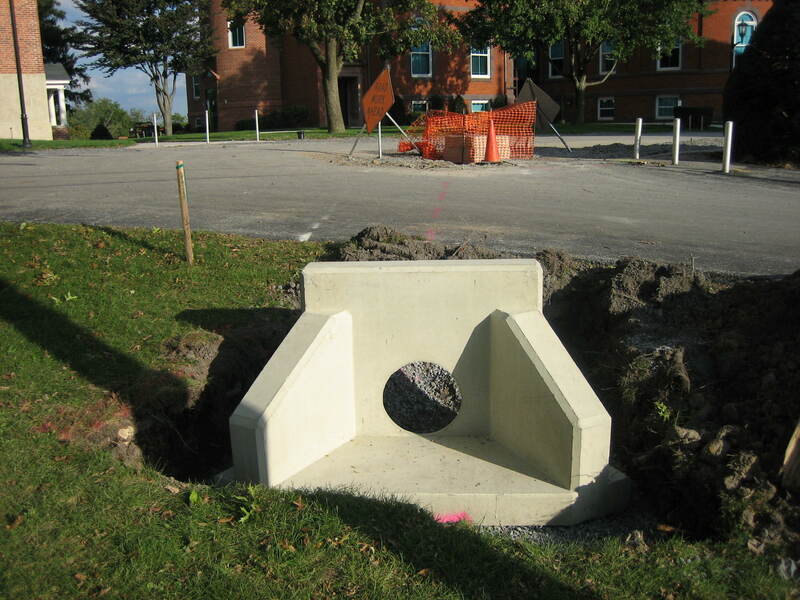 In this area, the asphalt and/or earth must also be level with this section of the drainage system. This view is from the northwest facing southeast at approximately 5:00 PM on Friday, October 3, 2008. 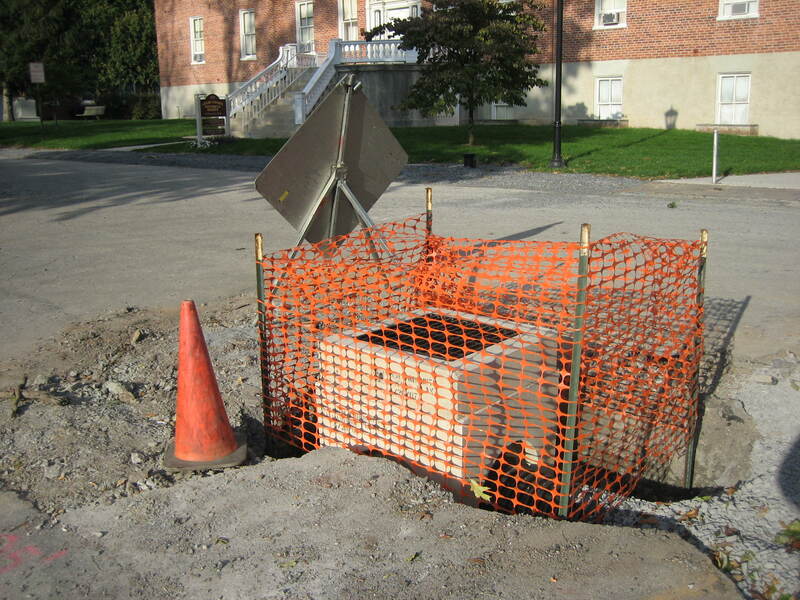 To give one an idea of how much, lengthwise, Seminary Avenue is to be raised, here’s a new drain in front of the Ayres Library. The road is level with the top of the drain. So from here to the drain in the left background, the road will be raised. View is from the south facing north at approximately 5:00 PM on Friday, October 3, 2008. The 1942 Seminary Chapel in the center background is on higher ground than the area around and west of Schmucker Hall, seen on the right. So the Avenue will be raised from the drain to the area where the large pickup truck is, to the left of the 1942 Seminary Chapel. View from the southwest facing northeast at approximately 5:00 PM on Friday, October 3, 2008. Or, to show this future skyline drive from another direction, the road will be raised from the photographer’s location to the building with the columns on the right, (the Ayres Library). View from the north facing south at approximately 5:00 PM on Friday, October 3, 2008. We know that this area has changed significantly since the battle. And we know that this isn’t a National Park Service site. But is this the best way to handle the drainage situation, or just the cheapest? The contractors told us today that they will be finished in approximately three weeks. View from the southeast facing northwest at approximately 5:00 PM on Friday, October 3, 2008. We decided to take a last photograph of the west side of Schmucker Hall with the road at the current level. If you are in the area this weekend, you might want to take some pictures too. View is from the west facing east at approximately 5:00 PM on Friday, October 3, 2008. See our post of the Adams County Historical Society’s Gettysburg Civil War Research Center, located in Schmucker Hall, on June 20, 2008. 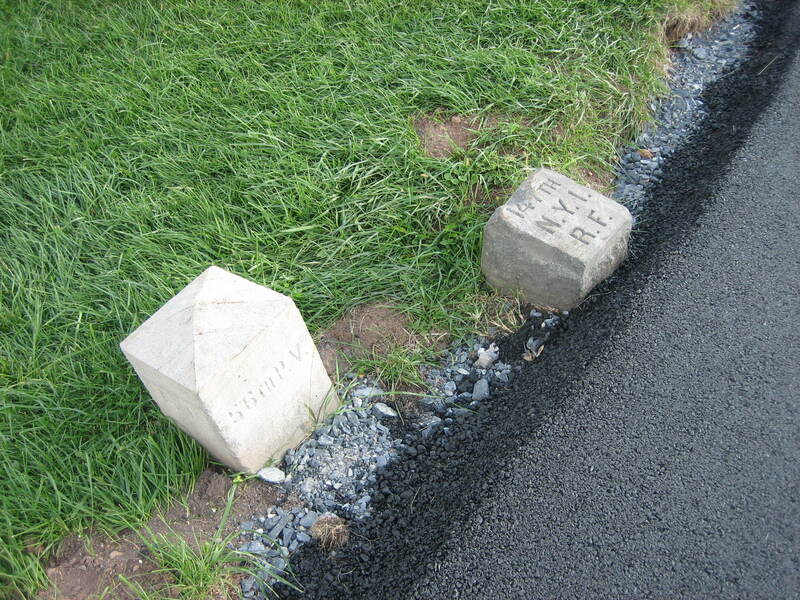 This is the fourth day that asphalt is touching the right flank marker of the 147th New York. View from the northwest facing southeast at approximately 4:45 PM on Friday, October 3, 2008. See our post titled, “Are you Serious!? Asphalt Now Touches a Flank Marker” on September 30, 2008.